We are pleased to announce the appointment of ChartWorld International to its growing network of Distributor and Value-Added Resellers (VAR’s) for its range of marine mapping products and data management and publishing software and services. The deal combines ChartWorld’s expertise as a VAR of digital electronic charts for marine applications including digital charts and publications for international shipping and navigational support services, Inland Waterways, and workboats with OceanWise skills in the provision of mapping products and GIS software to deliver wide ranging benefits for commercial and public sector users requiring marine geographic and environmental data. ChartWorld’s product portfolio includes the full range of UKHO, Primar and IC-ENC Electronic navigational data and publications, Navionics digital charts in S-57 format, digital charts in both SENC and ENC format and Inland ENCs for a number of key regions around the World. 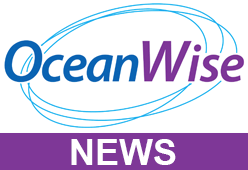 “We are pleased to add OceanWise’s marine data products, services and publishing capabilities to our own portfolio of products and services” said Oliver Schwarz, ChartWorld Business Development Director. Mike Osborne, OceanWise’s MD added that “ChartWorld will bring its extensive expertise in publishing and distribution to the fore in order to meet the needs of a wider customer base for marine mapping products and services”.